Many Icelandic women fished in the 18th and 19th centuries, but their work has been largely unrecognized. Why did these female seafarers fade from the country’s memory? Fear not to hurt the ocean. Einarsdóttir was not only a talented poet but an excellent fisher. She often caught more fish than other crew members, and people believed that her ability to lure the animals was supernatural. When she was dying, she reportedly passed on this uncanny skill to a farmer by writing a poem about him catching trout. Her work at sea may seem unusual. After all, fishing is generally considered a man’s job. 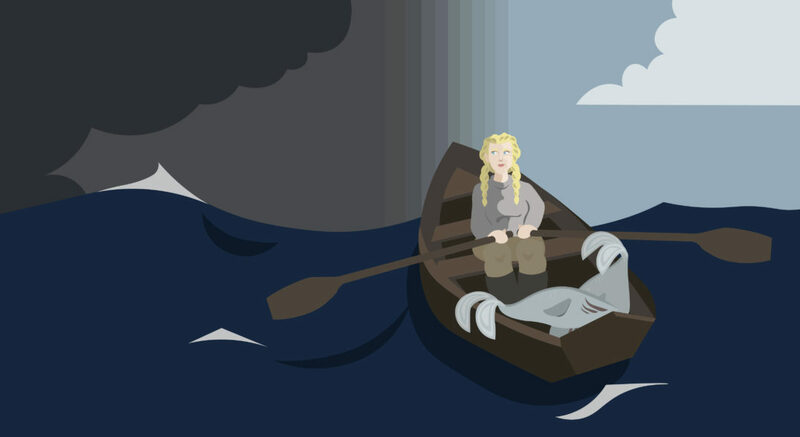 But recent work by an American researcher, Margaret Willson, suggests that Einarsdóttir was one of hundreds of Icelandic women in the 18th and 19th centuries who braved towering waves and icy waters to catch fish. Willson’s team combed through historical archives and publications to gather examples ranging from a female captain who led crews made up entirely of women, to expectant mothers who rowed late into pregnancy. The sea “wasn’t a male space,” says Willson, a cultural anthropologist at the University of Washington in Seattle and a former seawoman. “It was not a feminist act in any way for them to go to sea.” It was just part of everyday life. This strong female presence in Icelandic fishing has, however, faded. In modern times, technological, social, and economic factors have pushed the country’s women to remain on shore. Although some female seafarers continue to work in Iceland, they face obstacles such as criticism for defying current conventional gender roles. Today, women find it harder to enter the profession than their ancestors did—and the country has largely forgotten that these earlier seawomen existed. Willson was shocked that the sea captain was a woman. 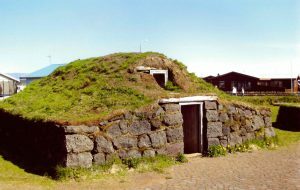 As it turned out, Thurídur Einarsdóttir (likely unrelated to the poet Björg Einarsdóttir) was a relatively well-known historical figure in Iceland. She was renowned not only for fishing but also for her detective skills: She deduced who had stolen some silver coins by determining that a shoe and an imprinted metal bar left at the scene were characteristic of a specific family’s stitching pattern and anvil, respectively, which allowed her to pinpoint them as the thieves. In another case, she concluded that a young man accused of stealing processed fish was innocent. Because he was left-handed, he had a distinctive method of cleaning his catch that marked it as his own. To gather more information, Willson and her team perused materials such as accounts by amateur historians, who wrote prolifically about their communities. One 20th-century farmer, Bergsveinn Skúlason, for example, began interviewing family members and acquaintances as a teenager. “What’s so wonderful is people wrote things down,” Willson says. “You have this uneven but incredible vernacular verbatim record.” She also found decades-old research by University of Iceland historian Thórunn Magnúsdóttir, who had sifted through crew registrations and other records that documented women working at sea between roughly 1890 and 1980. 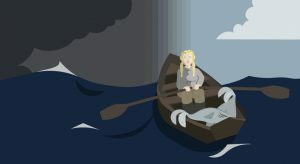 Early descriptions of women at sea appear in the Icelandic sagas—epics mostly written in the 13th and 14th centuries that are generally thought to blend history and fiction. In one tale, a female slave helps the hero to escape his enemies by rowing him to safety. Another account describes a woman leading a boat from Scotland to Iceland. While it’s unclear whether all of the stories’ details are strictly true, the tales do seem to reflect the events of the period, Willson says. Plagues decimated the population in the 1400s, followed by a major smallpox epidemic in the early 1700s. Willson found regular mentions of seawomen over the next couple hundred years, perhaps spurred by a shortage of helping hands. In some areas, female farm laborers were expected to work at sea. 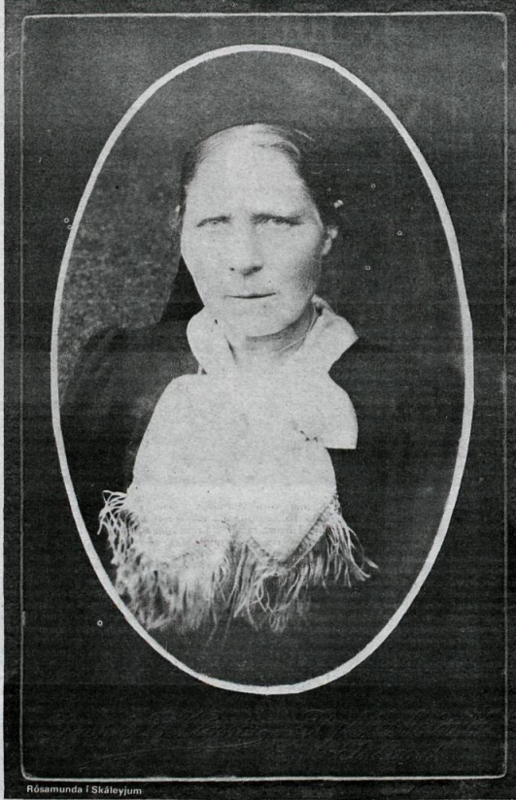 Willson’s trawl through books and articles turned up people like Kristín Ólafsdóttir, a late 19th-century fisherwoman, who recounted that “it was customary that no one [in the Bjarnareyjar islands] take on a farmhand unless she agreed to go to sea whenever the boats were launched.” Although Ólafsdóttir was crippled, and initially got seasick, she had to fish; the crew cured her queasiness by plunging her head into the water. Willson’s research revealed “dozens upon dozens of accounts of seawomen, and mentions of hundreds,” she wrote in her book. They were particularly common in a bay in western Iceland called Breidafjördur, which contains many small islands. The historian Magnúsdóttir suggested that at least one-third of the crew in this region were women. According to death records, women made up half or more of the rowers on some capsized boats. And two travelers who visited Breidafjördur in the 1700s remarked that women and men were equally accustomed to going to sea. Icelandic seawomen during this time exhibited toughness, skill, and leadership. Fisherwoman Ísafold Runólfsdóttir, who lived in eastern Iceland in the 1800s, was said to be so strong that she could drag her boat onto shore by herself and carry two 100-pound bags while men hoisted only one. Local accounts suggested that when a man made unwanted sexual advances, she tucked him under her arm or threw him into the ocean. Pregnancy did not deter seawomen; one named Anna Björnsdóttir fished while near birth in the late 1700s, with her father urging her on: “Go on! Go on! I think you can row. There’s no baby on your arm now!” The seal hunter and fisher Rósamunda Sigmundsdóttir, who was born in 1868, wore red to attract seal pups and reportedly landed such large catches that the “fish came up her skirt.” And the 18th-century captain Halldóra Clubfoot, whose rowers were all women, routinely beat her brothers at fishing contests. Life was rough for these seafarers. Open boats provided no shelter, and snow, wind, and sleet blasted the rowers. Most women wore wool skirts, which likely hindered them if they fell into the water—though, Willson notes, it was so cold that they were “going to freeze in about two seconds flat anyway.” If the women were farmhands, they were similar to serfs: Farmers provided food, shelter, and clothing but controlled the workers’ lives. While a 1720 law decreed that women should be paid as much as men for fishing, farmers usually took the farm laborers’ wages and gave the female farmhands less to eat and wear than their male counterparts. Since historical records are spotty, Willson can’t precisely quantify the number of female seafarers over the course of Iceland’s long history. 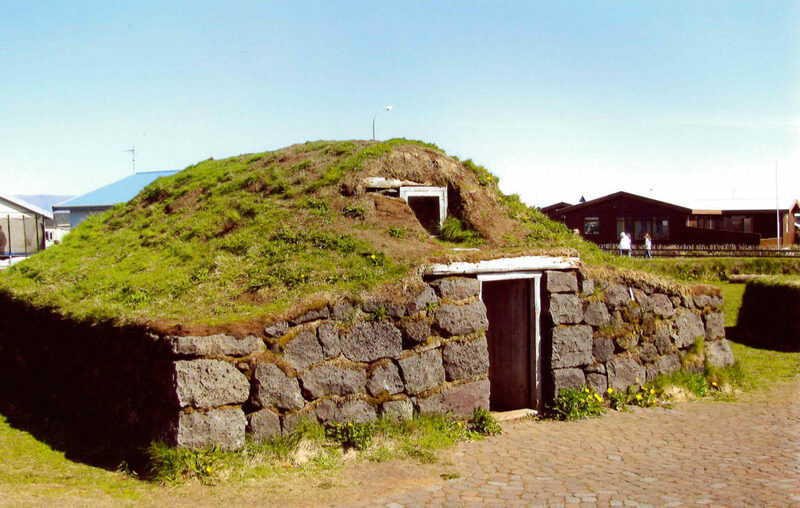 Gunnar Karlsson, a professor emeritus of history at the University of Iceland, doubts Willson’s claim that they were prevalent. He believes instead that they made up a small fraction of the total, and were written about because their work was unusual. “The case of these women proves that the limits were not quite absolute,” he says. “Still, the basic rule is that fishing is a male area.” He estimates, very roughly, that about 10,000 men fished in Iceland per year in the 1700s and 1800s; so over several generations, the total would have reached several tens of thousands. If hundreds of women fished during that time, their numbers would be somewhere around 1 percent of crew members. Karlsson speculates that Breidafjördur may have been unusual partly because fishing grounds there were closer to homes, or because the need to frequently commute between small islands made women more likely to row and thus participate in fishing. Shifting attitudes about gender roles in Iceland may have contributed to the seawomen’s erasure. In the 1800s and early 1900s, Iceland pushed for independence from Denmark and became more influenced by ideas from other countries. As a result, the belief that the model woman belonged in the house grew stronger, Willson says. She found that while women still fished, people also highlighted their domestic accomplishments such as knitting and cooking. In one account, a girl named Gudný Hagalín stopped fishing and hunting foxes when her aunt scolded Gudný’s father for raising her “like a man and not a woman.” People even derided seawomen with the term kerling (hag). Still, some women persisted at sea. 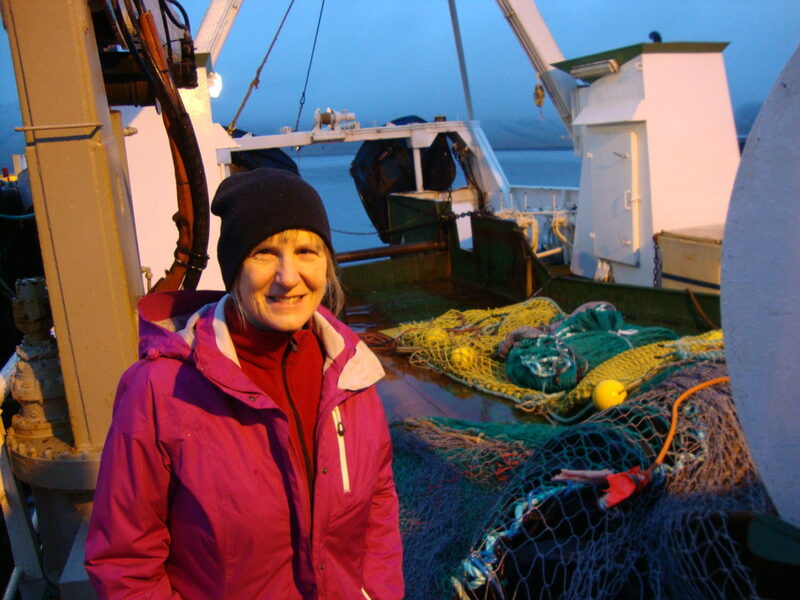 Willson and her research assistants interviewed more than 150 women who had worked on boats from around 1950 to 2013, hearing tales of a helicopter rescue from a capsized vessel and the amputation of a finger bitten by a spotted wolffish. 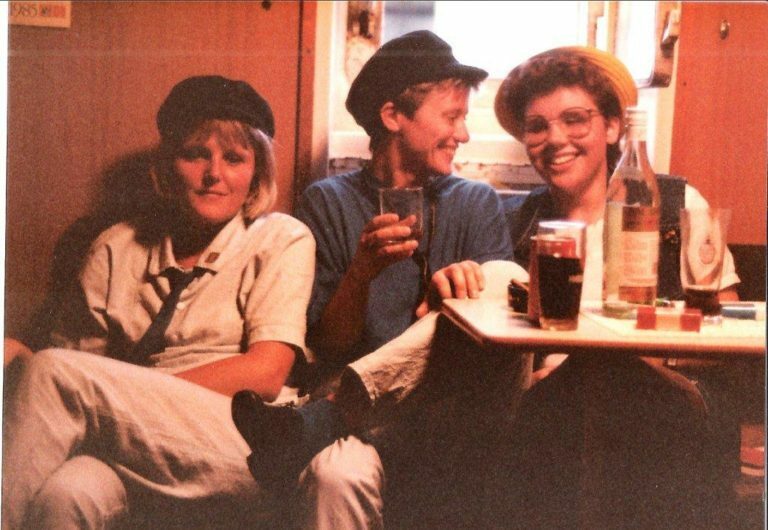 Aboard ships, these women faced everything from mild hazing to sexual harassment—Willson heard stories of men attaching condoms to the woman’s door or playing pornographic movies. But most women, says Willson, forged strong friendships with their male crewmates. Back on land, however, many of these women faced harsh judgment. Family members sometimes did not approve of women in the profession, and people in town called seawomen bad mothers or gossiped about their relations with men on the boat. Inga Fanney, one of the women who spoke to Willson, recalls that her mother and aunt were not pleased with her decision to go to sea. And many people on shore assumed that she was promiscuous. “You must sleep with the whole crew, or you’re a lesbian,” was a common assumption, Fanney says. These modern seawomen also encountered more obstacles to getting hired than their predecessors did. Part of the problem stemmed from a quota system instituted in the 1980s, which treated the right to catch a certain amount of fish as a commodity that could be bought and sold. Within a couple decades, large firms amassed many rights from small companies and communities, and centralized their operations. This meant that instead of seeking a job from acquaintances at her local harbor, an aspiring seawoman usually had to travel to a city to apply for work from strangers. If large trawlers stayed at sea for a month or two, the work presented difficulties for mothers who needed child care or did not want to be separated from their families for so long. When the economy crashed in 2008, unemployed men clamored for fishing jobs. “It feels kind of like they pushed the girls out,” one seawoman told Willson. This entry was posted in Iceland, Women. Bookmark the permalink. ← Does One Ethnic Group Own Its Own Cultural Artefacts?